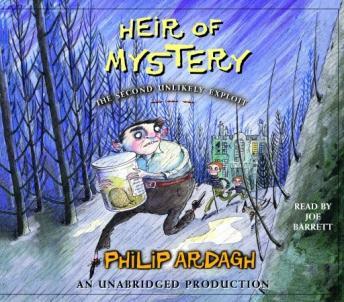 In this second Unlikely Exploit, Fergal McNally’s brain—last seen in a pickling jar in the basement of Sacred Heart Hospital—is stolen, and the remaining McNally children are mysteriously drawn to Fishbone Forest and the forgotten crumbling mansion that lies at its heart. Here they meet the terrifying teddy bear–clutching Mr. Maggs, who plans to make sweeping changes to the world . . . which is all rather unlikely, isn’t it? Packed with humor and excitement, this is another surefire winner.